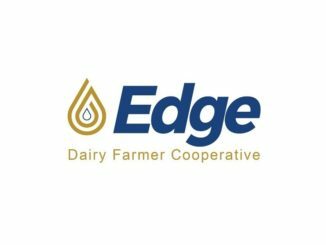 The board of directors of Edge Dairy Farmer Cooperative has appointed a new board member. Gordon Speirs, a dairy farmer from Brillion, Wis., was selected to fill the vacant board seat held by the late John Pagel. Speirs has been an active member of Edge, serving on its Committee on Political Affairs and going to Washington, D.C., to lobby lawmakers on issues such as environmental regulations, trade, milk labeling and a sustainable workforce. Speirs owns and operates Shiloh Dairy LLC in Brillion, Wis., with his wife and one of his sons. He started farming with his family in Alberta, Canada, and moved to the United States in 2003 to grow the business. The family was honored as the 2016 Wisconsin Family Business of the Year. Edge President Brody Stapel said Speirs will bring a unique perspective to the board. The board seat had been open since Pagel’s unexpected passing in February. The term for Speirs will run through 2020. Photo: Click here for a headshot of Gordon Speirs. Tweet about this: Dairy farm group @voiceofmilk appoints new board member. 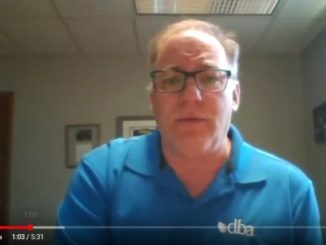 Joel Hastings of DairyBusiness News interviews Tim Trotter of Edge Dairy Farmer Cooperative in Green Bay, Wisconsin about the organization and current challenges with trade and export.